This is not just any flower festival. We are using the carvings of the seasons on our Norman font as inspiration for the displays. This is a community event with local schools taking part and the local allotment society growing flowers. The arrangements are being done by the arrangers who arrange flowers in the church all year. 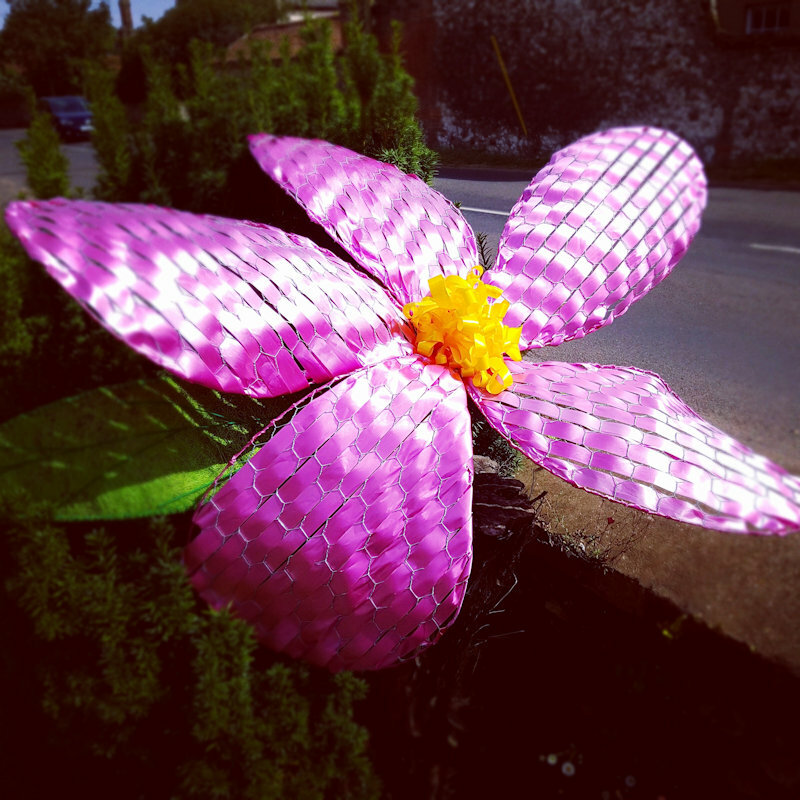 The organiser and designer is a gold medal winner at Chelsea flower show. 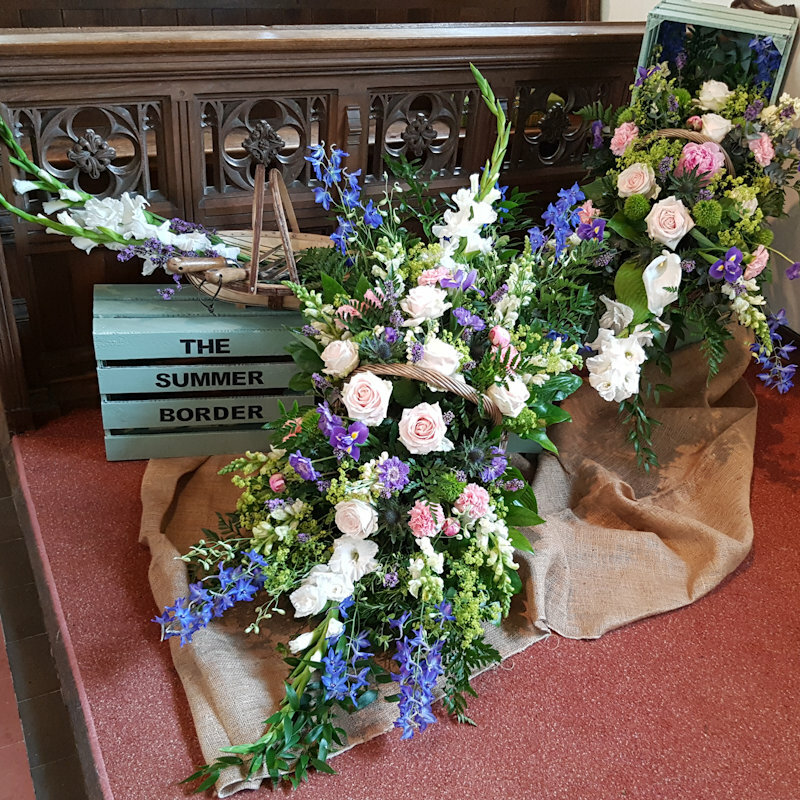 On Sunday afternoon there will be Songs of Praise celebrating all things floral at 4.45pm, which all visitors are more than welcome to join us. 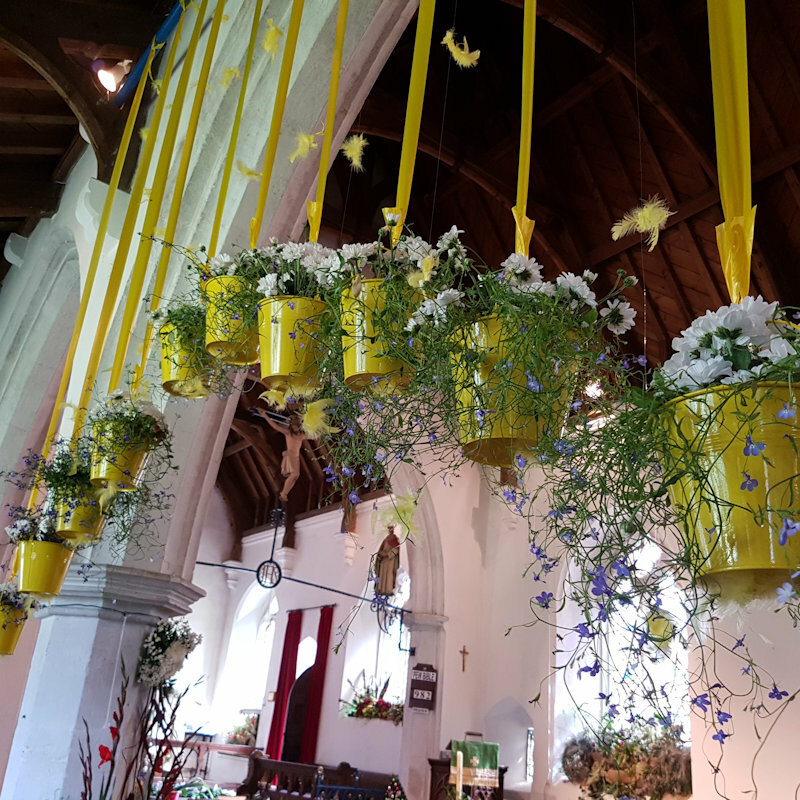 When you’ve finished enjoying the amazing flower displays, Philippa in The Hare & The Hen at Dalegate Market needs your help to decorate a Big Pot. £1 donations, with all proceeds going to St Mary’s Church too. 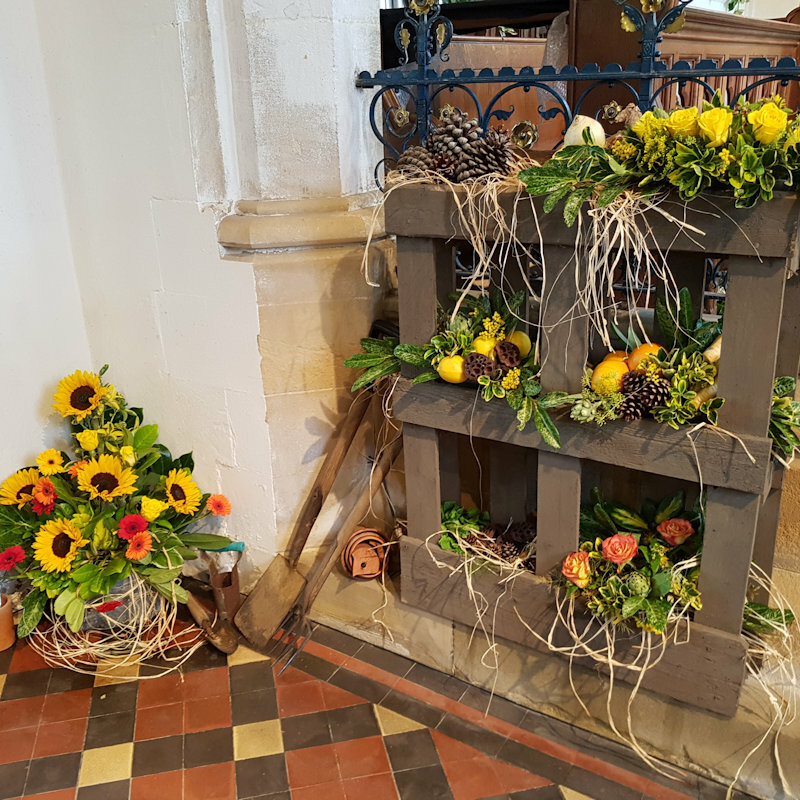 Seasons of the Year Flower Festival - A small but perfectly formed flower festival depicting the Seasons of the Year in St Mary’s Church, the lovely roundtower church in Burnham Deepdale.